King George V sovereigns are highly valued amongst numismatics due to being the last gold sovereign in actual circulation before the end of the Gold Standard in Britain. Over the years gold sovereigns have become a standout investment for collectors as they not only represent a significant part of British History but are also considered legal tender in the UK. This means they are Capital Gains Tax exempt. Why do King George V Sovereigns make a good investment? a symbol of a time when the British Empire was still considered great. George V was one of the country’s most popular monarchs and reigned during a time of great change, not just in Britain but throughout the world. His time on the throne saw the rise of new political movements such as socialism, communism and fascism, however, the advent of World War I in 1914 would have the biggest impact on his reign. Up until the first world war, gold sovereigns were still a major part of everyday life. Just days after the start of the war in August 1914, however, people were urged to donate their gold coins. Sovereigns continued to be mined overseas but this period marked the end of an era for what had been one of the most important coins in British History. After the gold standard was abolished, there was less of a need for gold sovereigns and so the number of coins being minted started to go into decline. It was under George V that the final two branch mints would be opened, one in India and one in South Africa. George V Sovereigns are the only coins to have been produced in six branches of the Royal Mint. Gold sovereigns are considered semi numismatics. 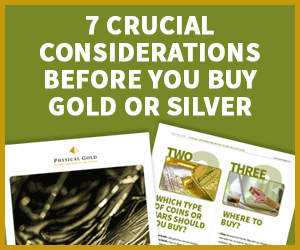 This means collectors buy them for both their bullion content as well as their numismatic (rarity/historical value) Due to the coins everlasting popularity with collectors from all over the globe, gold sovereigns are relatively liquid which means they are easily exchangeable for cash. The 1917 George V gold sovereign is considered incredibly rare and is highly sought after by many coin collectors. This is due to many of them being melted down after World War I in a bid to help pay off Britain’s war debts to America. The branch mint in Ottawa ceased all production of gold sovereigns during George V reign. Gold sovereigns produced at the mint up until 1919, when it closed for good, are considered exceptionally rare and valuable due to the mint producing far fewer sovereigns than other mintages. 1916 sovereigns, in particular, are highly sought after, as only 6119 of them were produced in that year. George V gold sovereigns were produced in 91.67% fine gold (22 carats). The design of the coin was changed in 1929 to incorporate an inner circle and beading around the outside edge. This extra level of security made it much harder for forgers of the time to replicate the coin which is why the sovereign is still held in such high regard by collectors and investors. Physical Gold offers a wide selection of gold sovereigns spanning over the last two centuries including those minted during the reign of George V. To browse our full selection of gold sovereigns please click here. For more information please give us a call on 020 7060 9992. This entry was posted in Blog and tagged george V, Gold Sovereign, king.